Max Ingrand. 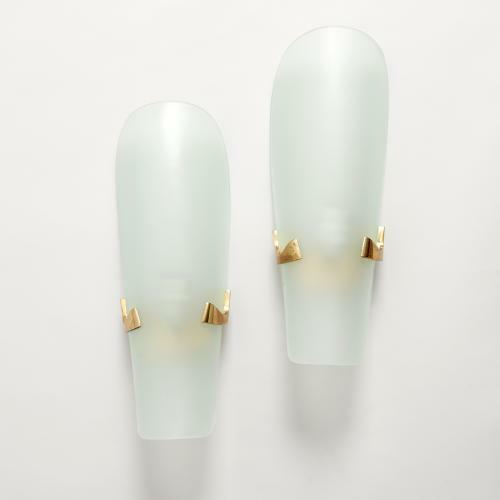 Pair of wall lights Mod. 1636S, brass structure and curved,brushed and ground glass. Prod. Fontana Arte, Italy, 1953. Certificate of Italian Ministry of Arts provided.